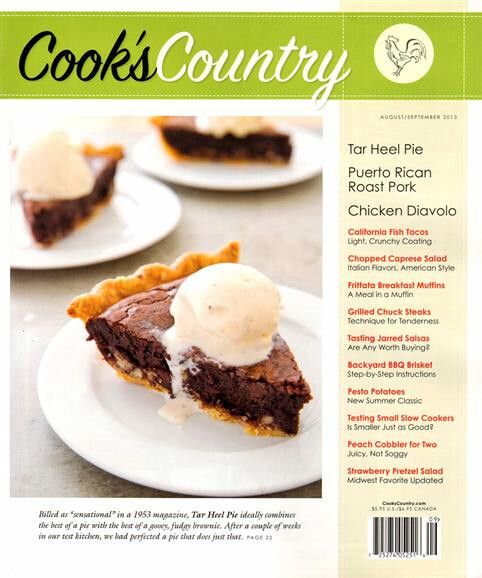 Cook’s Country Magazine is a must-have cooking resource for anyone looking for helpful kitchen equipment reviews, entertaining taste tests and, of course, great recipes for the dinner table. Each issue of the bi-monthly magazine is filled with such recipes that help anyone to create country style food in a convenient way. Six issues each year are jam-packed with invaluable advice and resources. Cook’s Country also provides easy recipes for healthy, wholesome meals alongside tips and advice on helpful techniques for in the kitchen.